Cocooning and cosy. Walking into Llys Meddyg was like getting a warm hug that warded off the chilly weather outside. 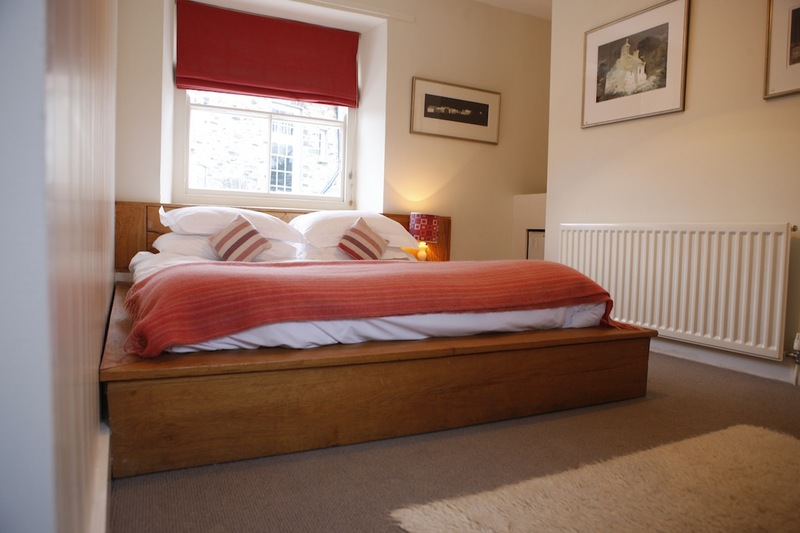 We had a last-minute free weekend (our boys were sleeping-over at respective friends’ houses) so it was just hubby, me and the dog – booking in last minute to this boho-chic Georgian house and restaurant with rooms in the Pembrokeshire National Park. Because we were so late in booking, there was only one dog-friendly room left – their most compact and bijou. 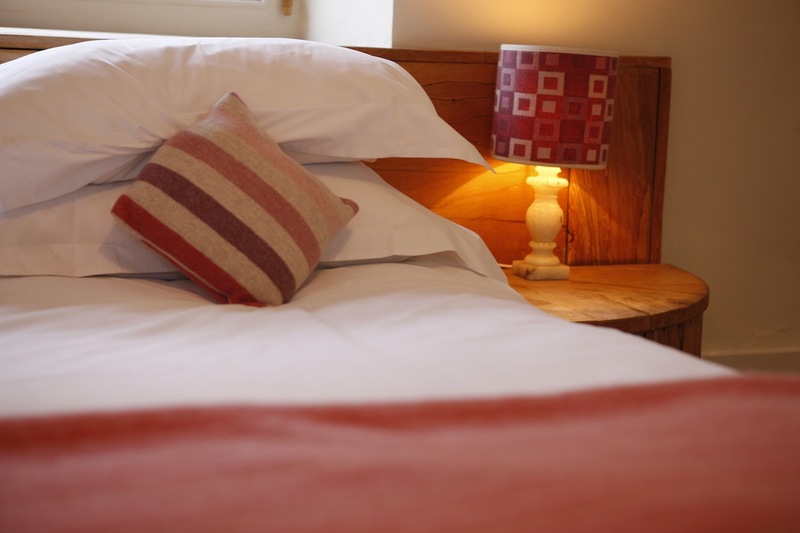 But size didn’t matter – it was comfortable and welcoming, with snug rugs, colourful blankets and cushions from Blueberry angoras and a King Size chunky wooden bed. Separate from the main hotel, it was in a mews building and overlooked the courtyard on one side and the pretty garden from a window on the opposite side of the room. 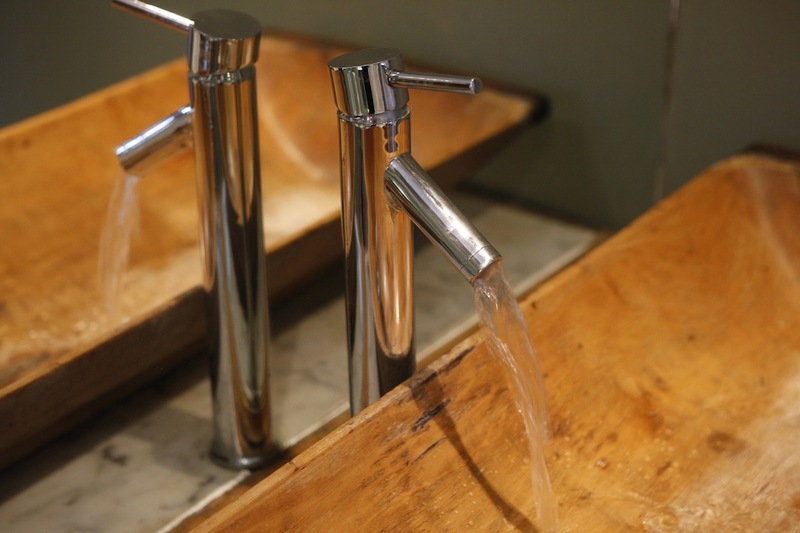 The bathroom was large and featured a monsoon shower and an unusual wooden sink. 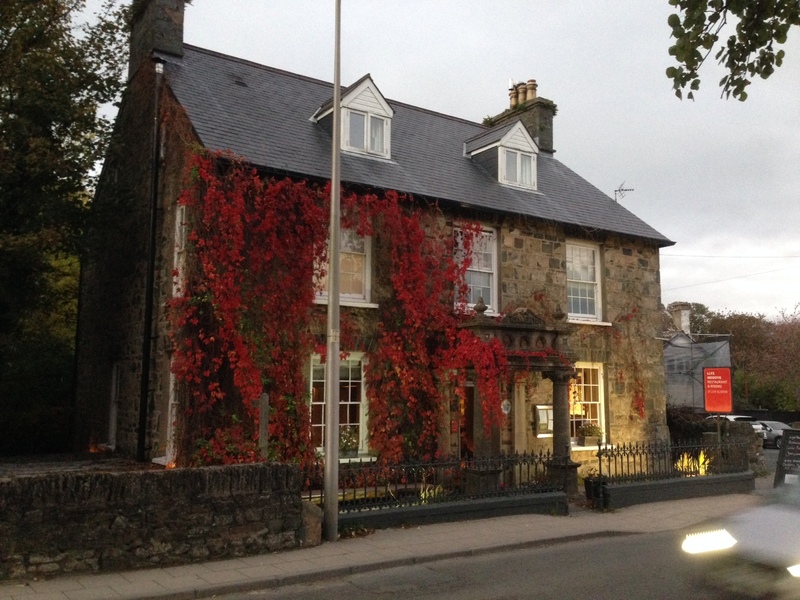 The hotel is in the middle of the charming estuary town of Newport, tucked between mountains and the shore. 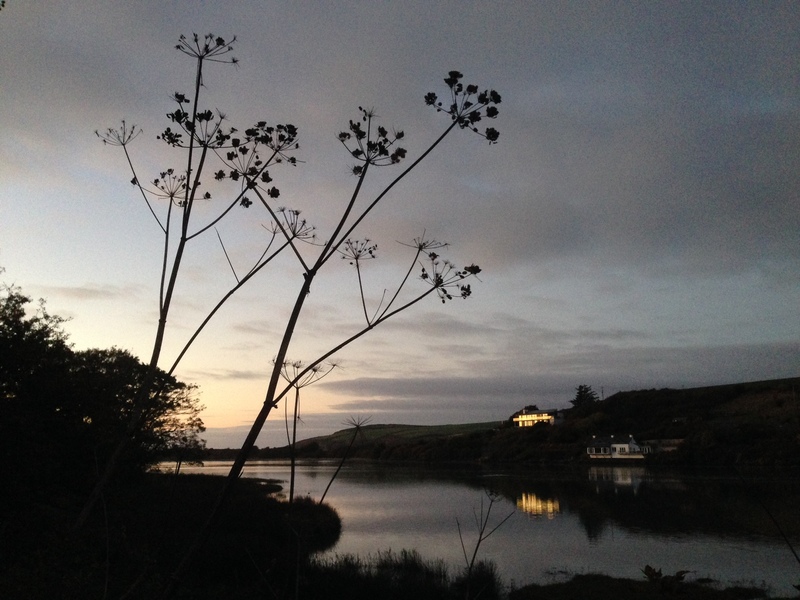 After settling in, we took a dusky walk with Barney to the waters and on to the Parrog, a pebble and grey sand beach. The village of Newport has a good choice of pubs, mini-market, butcher and coffee-shops. 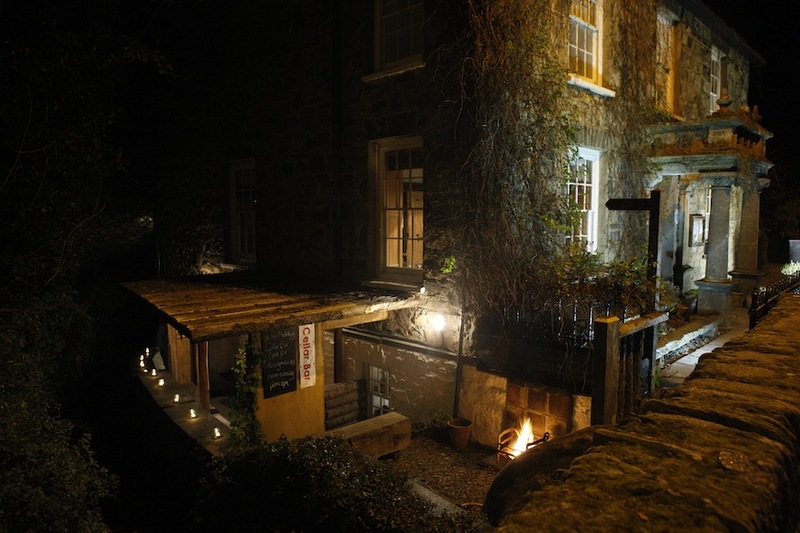 Back at the hotel, we stepped down to the cellar bar, welcomed by log-fires, flag-stones and flickering candlelight. Dogs are allowed in here and you can take dinner with them under your table. We were only after a drink for the moment and, despite a nip in the air, ventured to sit outside. The lovely barman insisted on lighting a fire for us, which made sipping our gin and tonics all the more jovial. 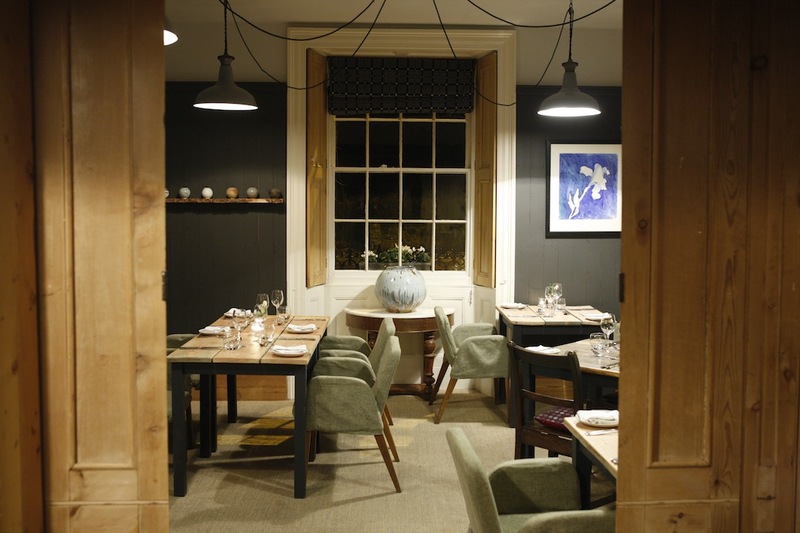 Then it was on to eat in the restaurant upstairs amongst rustic wooden dining tables and Welsh art-works choosing from a menu that’s fresh, tasty and imaginative (it’s currently lauded in The Good Hotel Guide 2017’s Editor’s Choice Gourmet section). 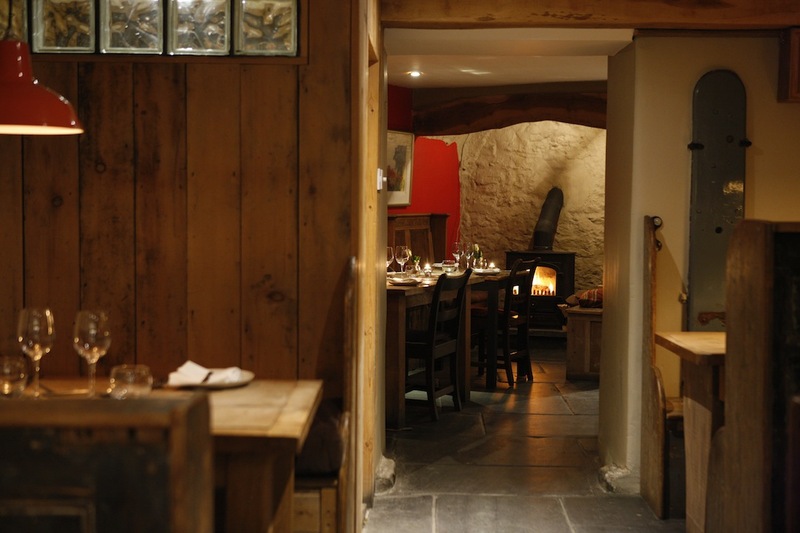 Food is locally sourced or even foraged from the local coast and countryside and you can expect delicious dishes including crab, home smoked salmon, Welsh lamb and Wild Sea Bass. The following morning we headed off for a brisk walk from the Parrog, past quaint traditional sailors’ cottages and grand Sea Merchant’s houses onto the Coastal path for a walk round Dinas Head (the highest point on the path). Then it was back to Llys Meddyg, which offered everything we needed to snuggle down with.